An Italian judge has ordered the captain of the Costa Concordia cruise ship to stand trial for manslaughter in the vessel's shipwreck off the coast of Tuscany, which killed 32 people. Judge Pietro Molino, at a closed-door hearing Wednesday in the town of Grosseto, agreed to prosecutors' request that Capt. Francesco Schettino of Italy be tried on charges of manslaughter, causing the shipwreck and abandoning the vessel while many of its 4,200 passengers and crew were still aboard. On the night of Jan. 13, 2012, the Concordia hit a jagged reef, which gashed its hull on one side, causing the ship to rapidly take on water just off the island of Giglio in the Mediterranean Sea. Passengers said the ship's evacuation was delayed and chaotic. The cruise ship listed so badly to one side that some life boats couldn't be launched, and many people aboard had to jump into the sea and swim to the tiny island in the dark. Schettino will be the only defendant in the trial, which begins July 9. The five other defendants successfully sought plea bargains, which are now being handled separately. 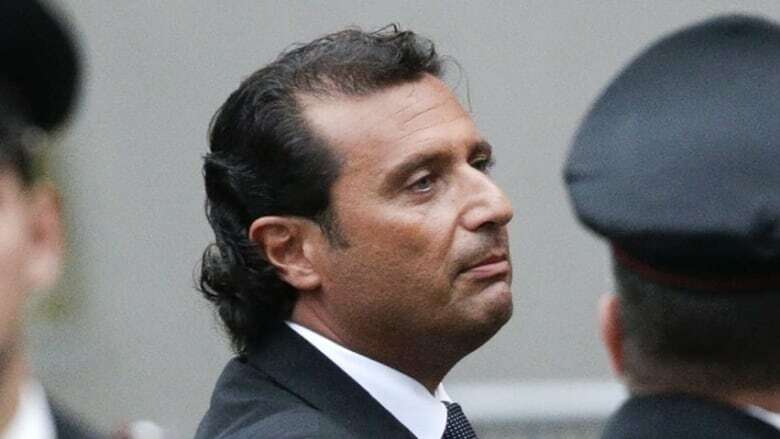 Schettino risks up to 20 years in prison if convicted. He contends he is innocent and is being made a scapegoat, insisting that the reef wasn't marked on the ship's navigational charts. He has also depicted himself as a hero in the tragedy, saying that he skillfully steered the stricken ship closer to Giglio's harbour, thus facilitating the rescue of the survivors. "Prison doesn't frighten me," Schettino told reporters who asked him about the possibility of a long sentence if convicted. "One's conscience causes fear. My conscience is in place," he said after the trial indictment. Asked how he would face trial, he said he would go "knowing that I will be able to explain calmly what happened." His lawyer, Francesco Pepe, told reporters the judge rejected the defence's request at Wednesday's hearing to throw out the charge of abandoning the ship. The judge last week rejected Schettino's plea-bargain bid, which would have drastically reduced his sentence in case of a conviction. "Schettino is calm," the Italian news agency LaPresse quoted Pepe, his lawyer, as saying. "The decision today isn't a judgment on merits. The judge only evaluated whether the appropriate place for all the charges to be decided is a trial." Prosecutors have alleged that Schettino steered the ship too dangerously close to the island in a publicity stunt for Costa Concordia SpA, the Italian cruise ship company. Chief prosecutor Francesco Verusio expressed satisfaction about the judge's decision to order trial for only the Concordia's captain. "Schettino is the principal person responsible for what happened," Verusio told reporters. Court-appointed experts have pinned the blame for the shipwreck on Schettino, but they also concluded that the crew and Costa Crociere SpA, a unit of Miami-based Carnival Corp., committed blunders and safety breaches that contributed to the disaster. The experts concluded that crew members didn't have proper training or certification in safety and emergency drills, and that Costa had delayed alerting coastal authorities about the accident, an accusation Costa has denied. The findings by the experts, along with descriptions by survivors, are expected to be at the heart of the prosecution's case. Prosecutors made no immediate comment Wednesday about the judge's decision to grant a trial. The Concordia still lies in the water on its side outside Giglio's harbour as a sophistical removal plan has fallen far behind schedule. Experts had promised to have the wreck out of there before the start of the island's summer tourist season. But a date for its removal has been postponed by at least months. The bodies of two of the 32 victims were never found.